I came into the office today and dove into my devos. I’m going through Philippians and Hebrews in my personal studies. Everything that we hold to importance. Everything we make a big deal about. It is literally any refuse such as the excrement of animals, off scourings, rubbish, dregs and so figuratively speaks of things that are worthless and detestable. It includes material thrown to the dogs. (Here’s where it gets almost absurdly descriptive) The word rubbish (GK: Skubalon) was word used to refer to a half eaten corpse (gross!) and filth of various kinds including lumps of manure or human excrement. It was the word describing the portion of food “rejected” by the body as not nourishing. We place so much on our achievements. 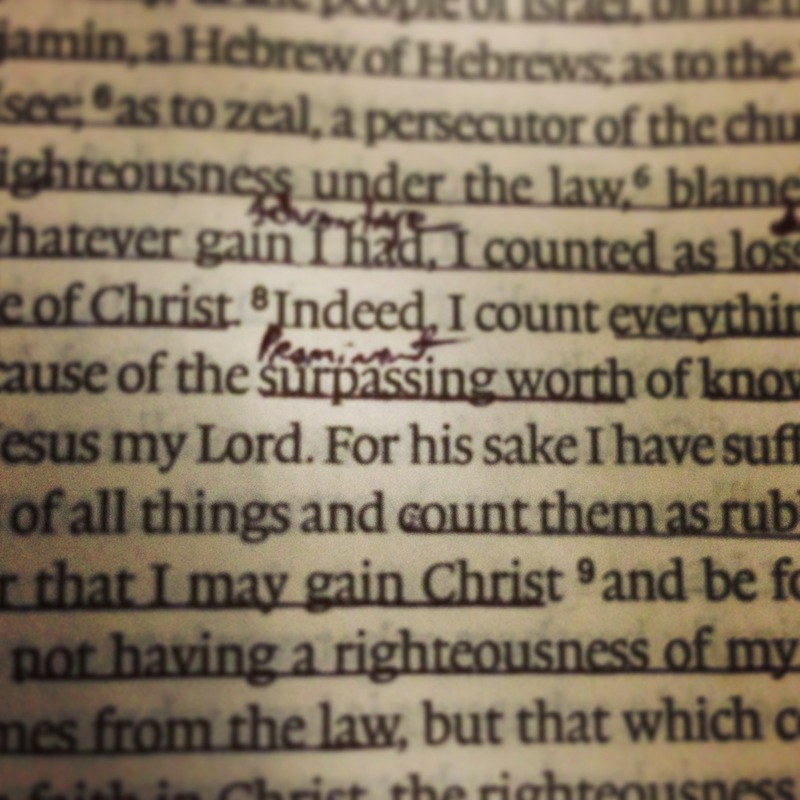 We boast about what we have accomplished in our lives. We put “yesteryear” on such a high pedestal as to hold the present captive to it’s worth. As much as we push our kids in their sports and academic achievements, do they see the priority of “knowing Jesus.” Do they see it in you? TRUTH: “Knowing Jesus” is not something we get to achieve someday down the road. It’s where we start. It’s where EVERYTHING stems from. I think someONE is trying to tell me something today! Thank you for posting this, I just read in my devos today about how He wants us to be all His. And how our security rests in Him alone, not other people, circumstances, etc. Obviously to do that we have to know him. Intimately. Thanks for the comment. I actually began writing this last week but didn’t feel “led” to post it yet. I love when HE has his own agenda! !